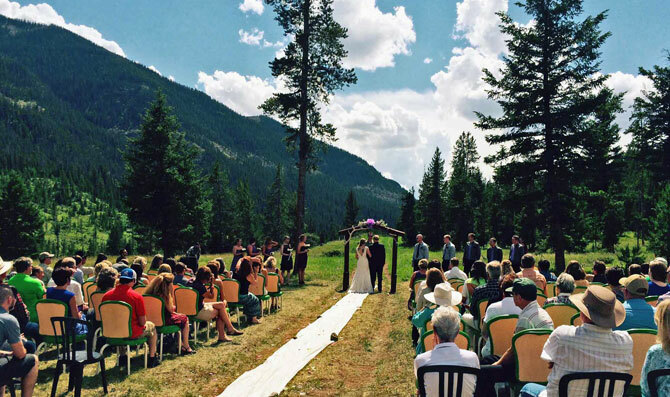 Planning a family reunion, corporate retreat, Wyoming wedding or just a friendly get together in the heart of the West near Yellowstone Park & Cody, WY? Look no further! 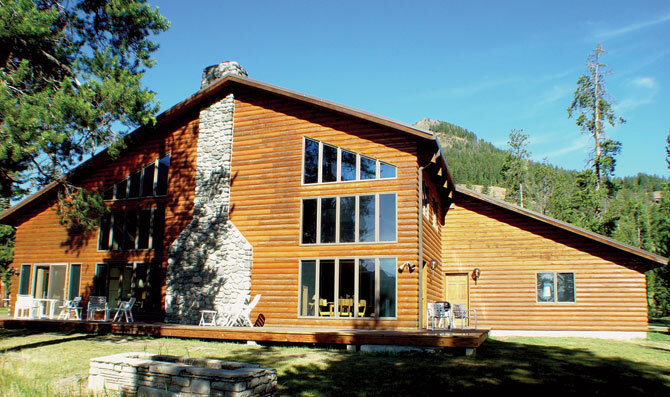 This spacious two story lodge, complete with a breathtaking view of the Wapiti Valley, is the perfect get away for larger groups. 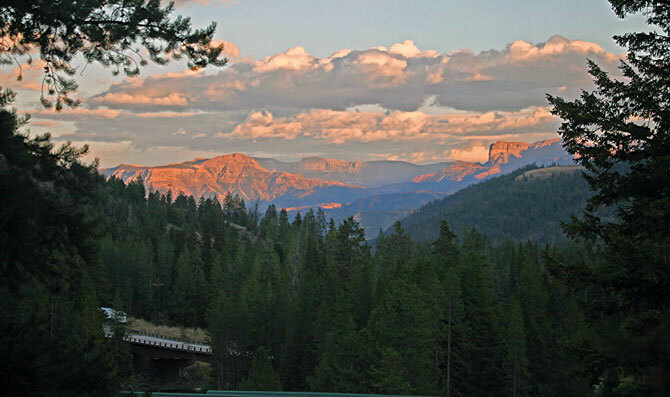 Situated atop a hill and nestled in the heart of the Shoshone National Forest, this lodge is just blink away from abundant and entertaining wildlife. We guarantee the views from this lodge are nothing shy of spectacular! 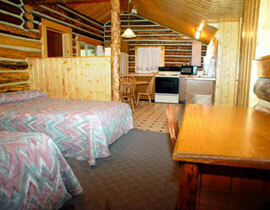 Designed with you in mind, the 7 bedroom, 8 bathroom and deluxe kitchen provide ample room for groups up to 22 people. With covered parking at the entrance, access to the lodge is easy. Step inside to the luxurious great room with its river rock fireplace and western furniture that fills the room with warmth and coziness. Set up with plenty of pots, pans and dishes, entertaining friends and family is made simple. The large deck is complete with patio furniture and overlooks the spectacular valley below. The group hot tub is just an added bonus! There is something for everyone whether it be the satellite television and DVD player, horseshoes, endless miles of hiking trails, fishing, horseback riding, shopping, touring Yellowstone, or just relaxing with a good book. Cody, Wyoming is a scenic 1 hour drive where you'll find the Buffalo Bill Historical Center, known as the Smithsonian of the West, river trips or a nightly rodeo . Of course your group doesn't have to be limited to 22 people. 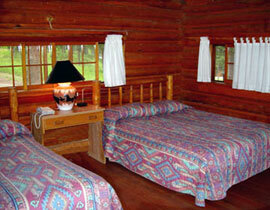 Nearby cabins allow for a greater numbers. In fact we have 40 additional rooms! We also have the ability to cater a meal at the lodge or hold a real western barbeque in front of Buffalo Bill's Original Lodge. 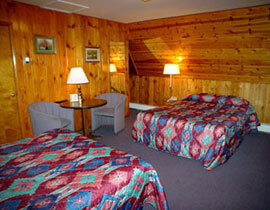 We can accommodate 150 people in our rooms and cater meals for up to 200 people. 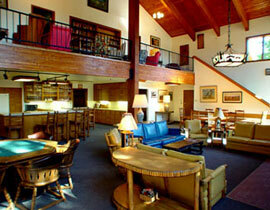 If the purpose of your trip is business, the Reunion Lodge works great for small meetings. 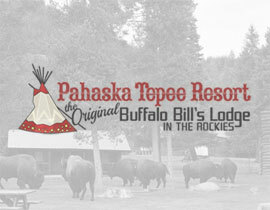 Buffalo Bill's Old Lodge offers a unique atmosphere for larger groups. We'd be happy to cater breakfast, lunch, dinner or just coffee breaks. 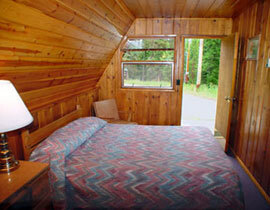 All of our rooms have telephones which are not easy to find in our area. We also have satellite internet access. 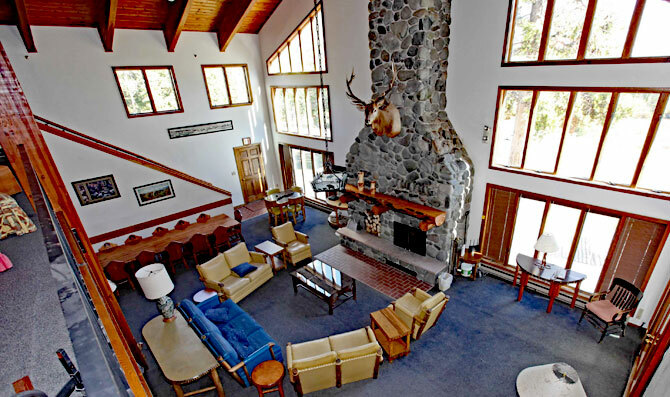 So, whether you're planning a birthday party, wedding, corporate retreat or a just a large family get away, Pahaska's Reunion Lodge can do it all! 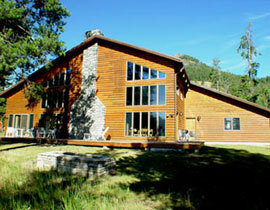 The Reunion Lodge is available year round.